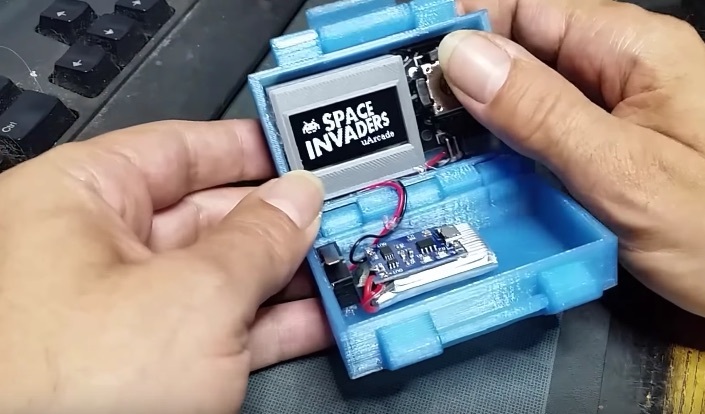 Tobozo Tagada incorporated the uArcade Space Invaders game (Arduino playform) to ESP8266 with a nice buckle box enclosure. 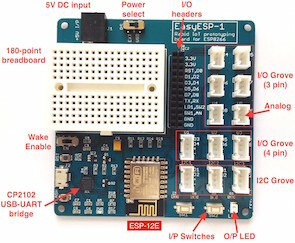 It uses a WeMOS D1 Mini Pro board for ESP8266 and a SH1103 based 1.3inch OLED screen for display. The original uArcade code can be found here.